The kitchen is one of the most-used rooms in every home. Here we prepare and enjoy food, wash our hands and clean the dishes. The sink is crucial to cooking and cleaning, so it must be in working order. Out of all kitchen plumbing repairs, this is one that must be done immediately when you notice something is wrong. 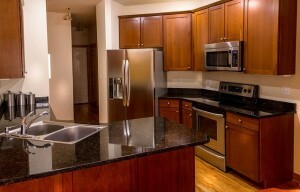 Otherwise, you won’t have a place to wash dishes and produce, or take care of other food-related tasks. There are four main types of faucets. The internal mechanisms that allow water to travel through them are what make each one unique. The types are: disc, cartridge, ball and compression. When a Sam T’s plumber goes to fix a kitchen sink faucet in Orange and Seminole county Fl., his or her first step is to identify what kind it is. An easy way to gain insight into this is to identify how many handles the fixture has. 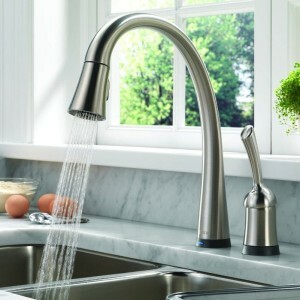 Single handles that control both cold and hot temperatures are disc, cartridge or ball faucets. Those with two handles, one for each temperature, are most likely compression faucets. To further learn about the faucet’s workings, a Sam T’s plumber can take apart the inner workings. This allows him or her to easily identify what the issue is and how to fix it. You may be able to repair your kitchen faucet leak by yourself. The best way to get to this point of DIY mastery? Learn about your sink parts. Just like mechanics must study the inside of their vehicles to learn how to fix them, it’s important to know what every individual piece of your kitchen sink faucet does before you try to fix a leak. Consider purchasing a book about plumbing or even just browsing the installation manual for your particular variety of faucet. These should include helpful diagrams about what each part is and what it does, as well as the way the parts fit together. Pay special attention to the order in which the manual suggests you installed the sink so you can be sure the faucet works properly. If you need help or think the leak is too complicated to fix yourself, call Sam T’s @ 407 359 7636. We’ll send a plumber to help as soon as possible. 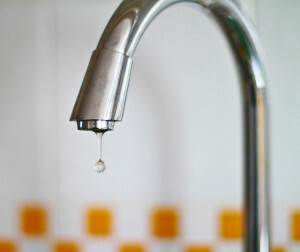 Leaks are typically caused by faucets that have become loose through daily wear and tear. Often, a simple tightening of a packing nut or the addition of a new O-ring can stop a leak that is coming from the faucet handle. Sometimes a sealant fails, requiring a replacement on an inlet or outlet. These tasks are easy to accomplish yourself, but can also be done by a Sam T’s plumber. Our plumbers carry commonly needed parts such as inlets, outlets, O-rings and other sealants to enable them to easily fix a leak that requires such a simple adjustment. Some kitchen faucets do require specialized parts, which may involve some time to replace. If you call a Sam T’s plumber to fix your kitchen faucet leak, he or she will establish what parts are needed and order them for delivery as soon as possible so your family can get back to regular use of the kitchen sink. When a Kitchen Faucet breaks or a drain clogs, it always seems to happen at the most inconvenient time—though, given our busy lives, there isn’t really any time that is convenient! 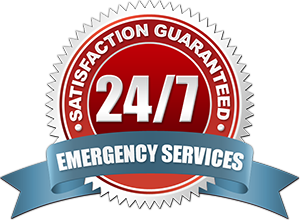 Not only do we offer a variety of Kitchen Plumbing Services and Repairs 24 hours a day, seven days a week, and 365 days a year, but we do it at an affordable price that won’t take advantage of your situation.